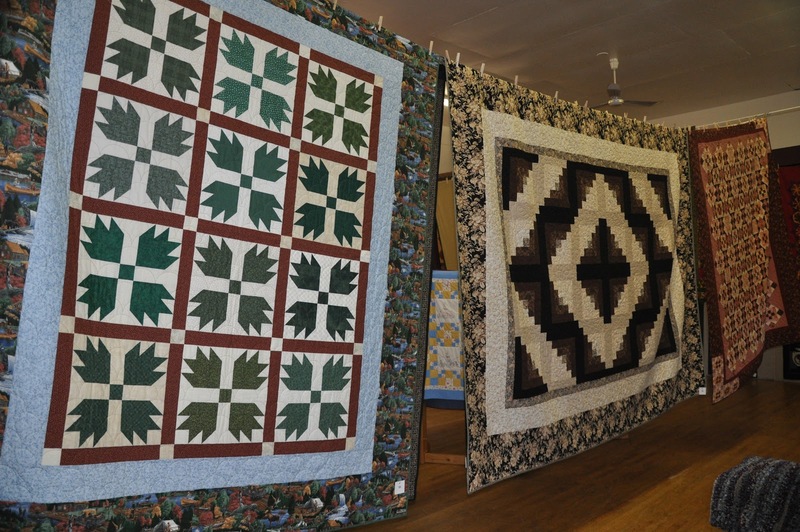 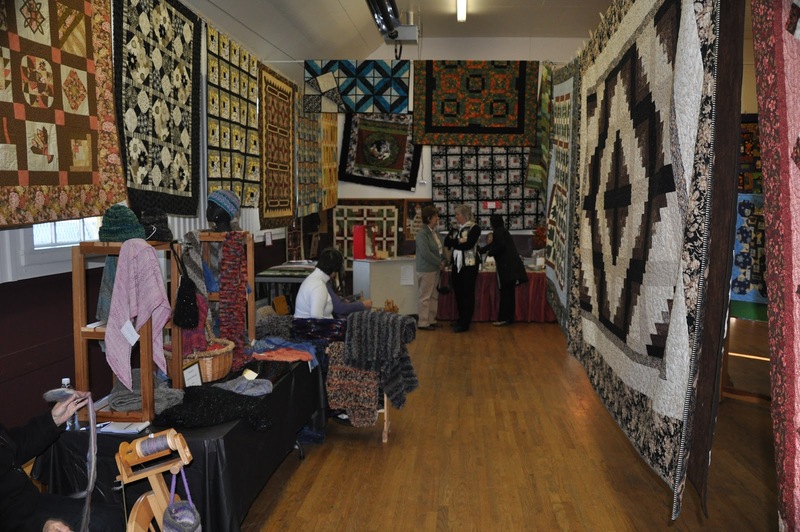 This weekend was the annual Harrison Mills Quilt Show. 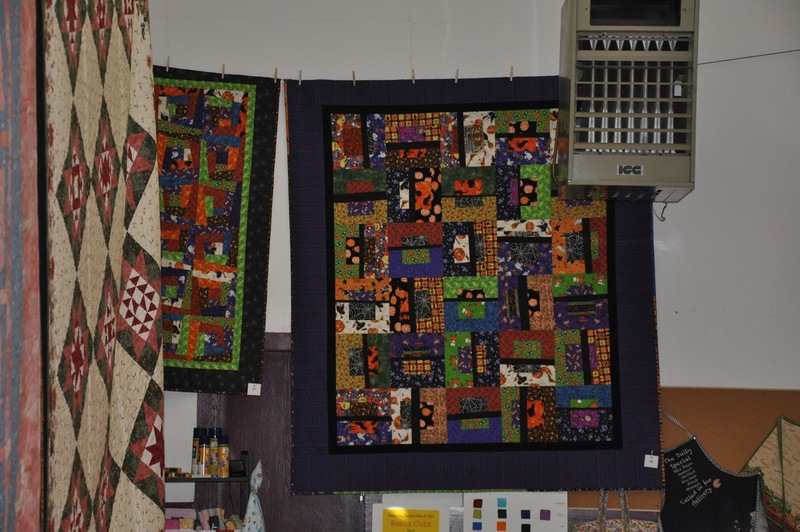 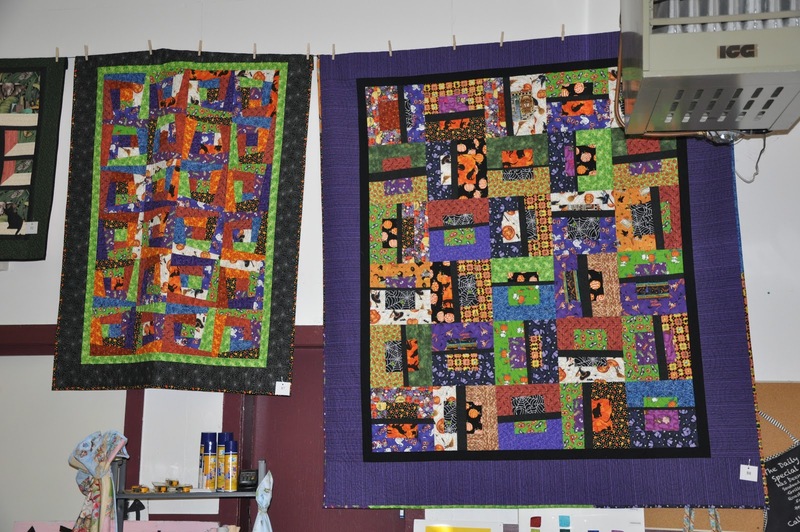 A small group of quilters–The Stitch and Rip Group–meet weekly in the hall to share their love of quilting and once a year, in October, they host a small quilt show featuring the talents of local quilters. 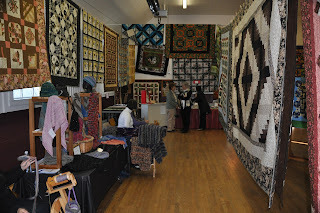 This is a fund raiser to support the upkeep of the hall. 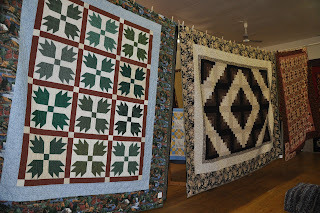 This year, I entered six quilts. 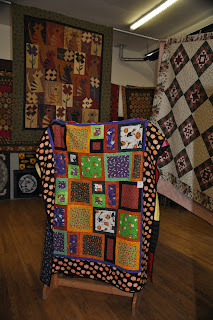 I spent time working on a super secret project yesterday that I can’t say anything about or show any pictures of. 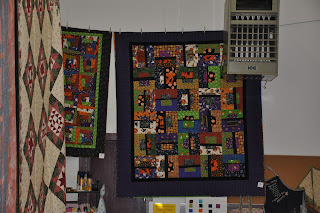 However, last night I decided to put the borders on this top and get it moved off the design wall. 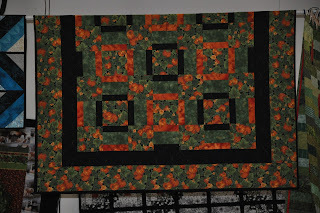 This is a top made from green crumb blocks. I joined 4 green crumb blocks together to make a 12.5″ block and then sashed them with 2.5″ yellow strips using red cornerstones. 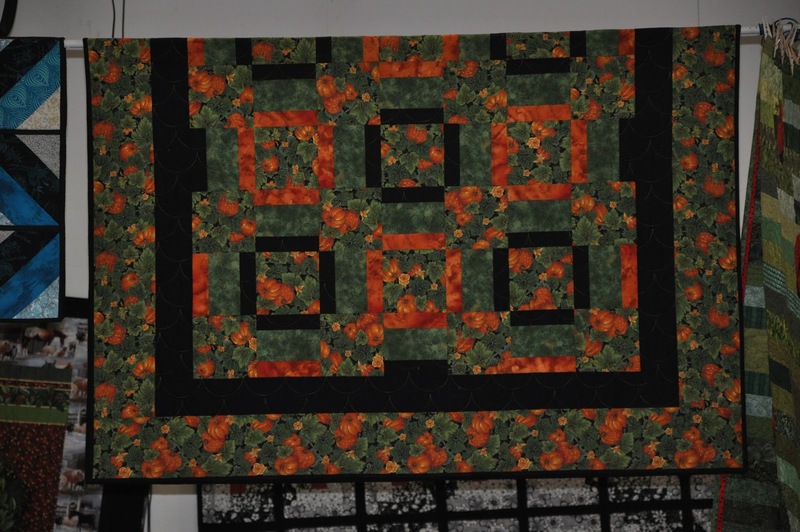 The yellow plays off the daisies in the border print and the red plays off the ladybugs in the border print. 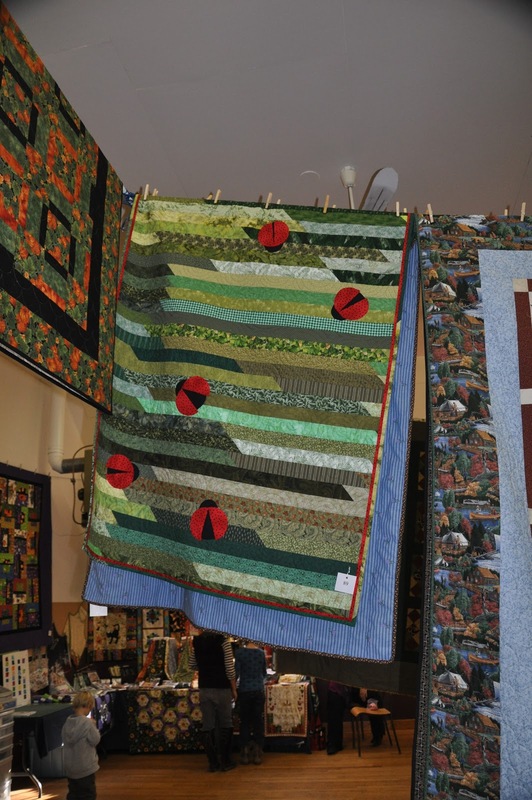 This top was completely made from stash. This top currently measures 63″ x 77″. 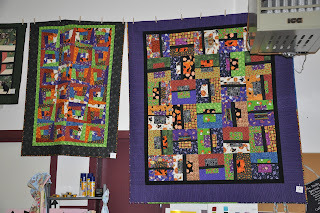 Another top finished to the flimsy stage.